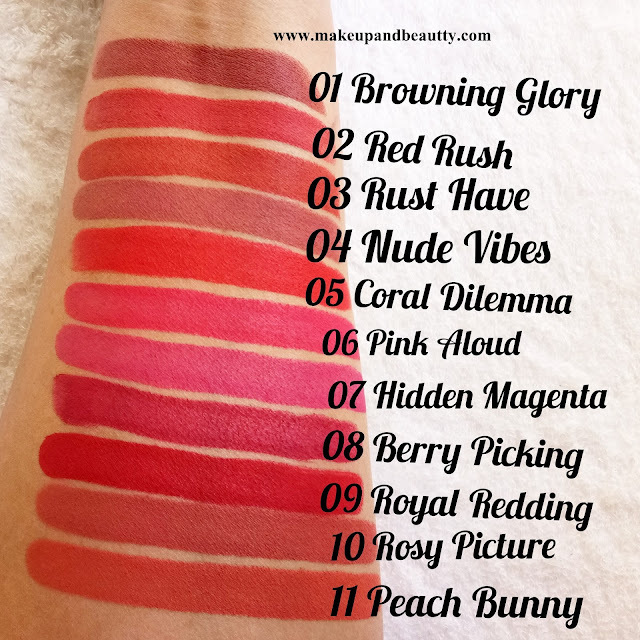 Today I am up with a new range of SUGAR COSMETICS lipsticks and they are NOTHING ELSE MATTER LONGWEAR LIPSTICKS. There are 11 shades in this range that recently launched in Sugar cosmetics website. I swatched all of them. Availability:- Sugar Cosmetics Online and offline stores. The lipsticks come in a similar packaging like the vivid lipsticks from this brand. The case is little wider and shorter than the vivid lipsticks packaging. 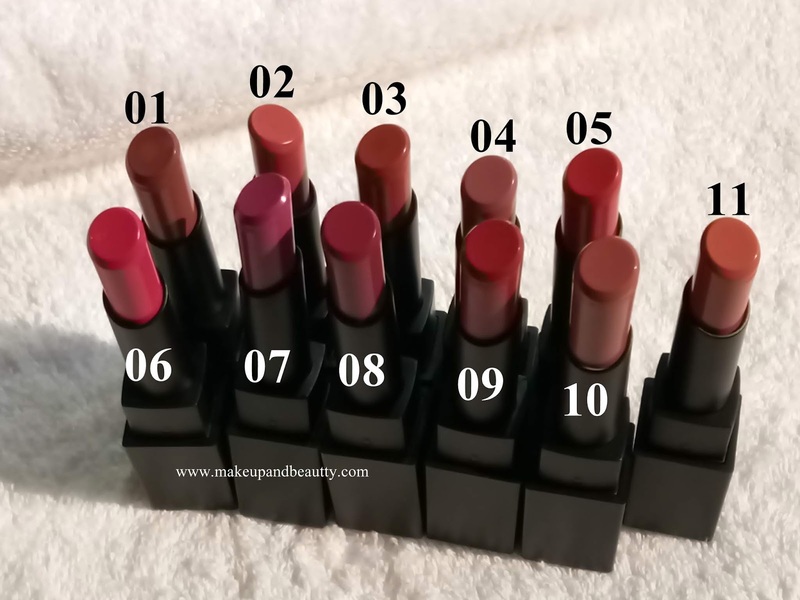 The bullet of the lipsticks is slanting and a little bit wider too. 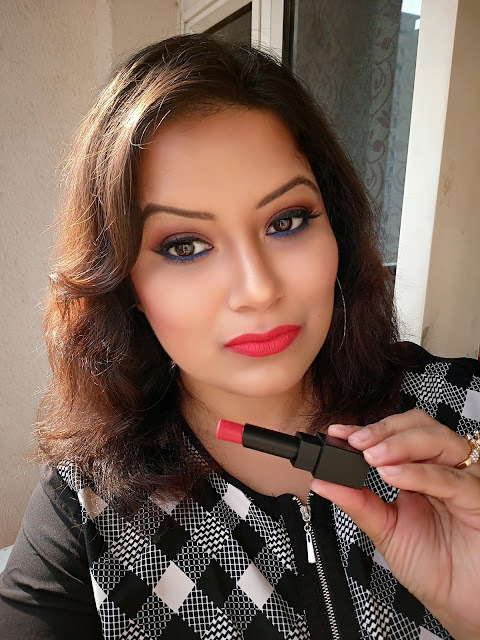 The lipstick bullet is perfect to fill the lips nicely but it is a little difficult to line thin lips but that can be sorted by using a lip brush. Coming to my experience, OMG! the lipstick nailed in every way. 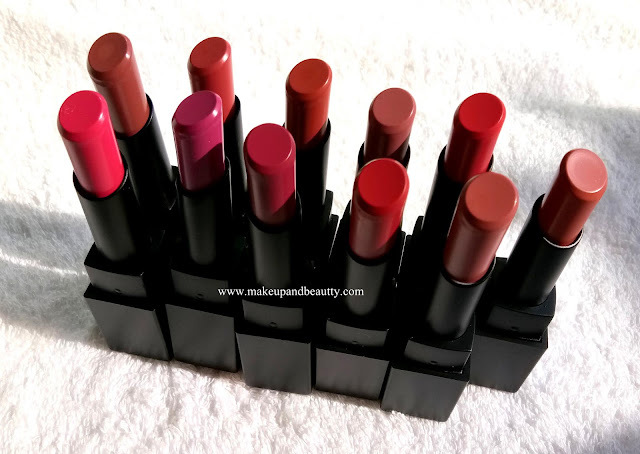 The lipsticks are matte in texture but definitely, these are comfort matte. 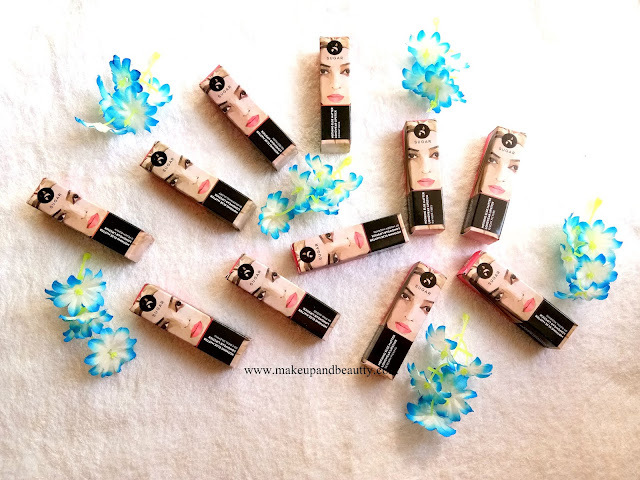 They glide super smoothly on my lips and giving a matte look. The pigmentation of both lighter and darker shades are awesome. 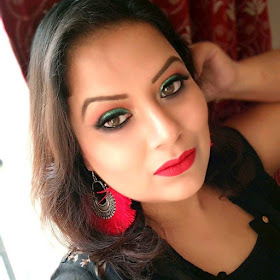 One or two swipes and they are just banging on color on your lips. 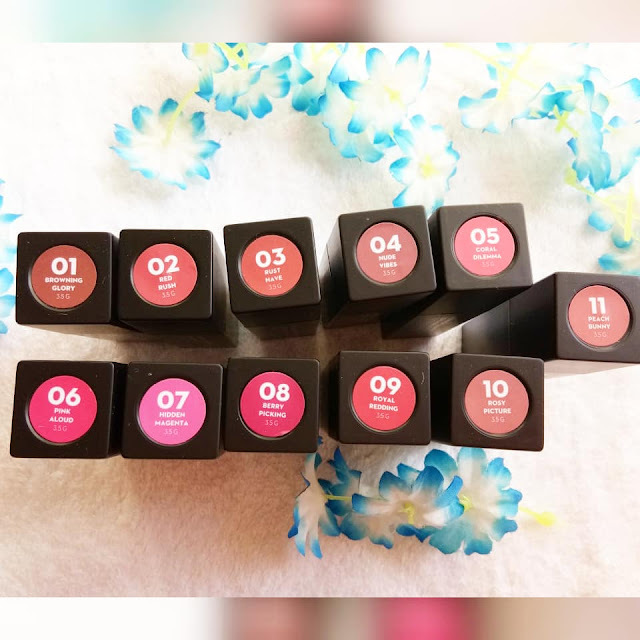 The lipsticks are so pigmented that they easily hide all the pigmentation of lips giving an even coverage of lip shades on your lips. The lipsticks have no fragrance in it. The staying power of these lipsticks is almost 7-8 hours on my lips with a slight bit of fading if I eat or drink anything. 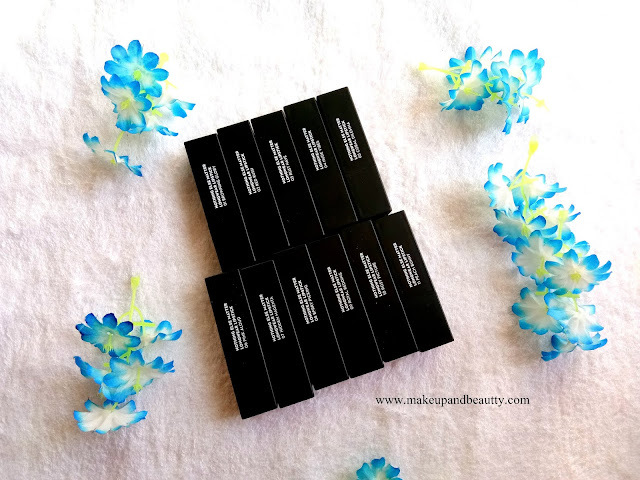 Overall, I would say that these lipsticks can be affordable dupe Mac powder kiss lipsticks (reviewed here).